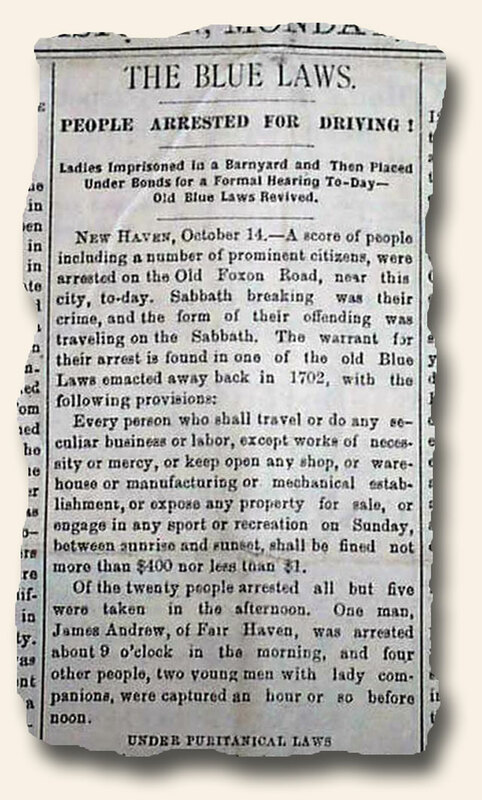 In today’s society when Sunday has become no different than any other day of the week in terms of work, play, and daily behavior, it can be difficult to realize that “blue laws” once existed which prevented–legally–many activities from happening on Sunday. 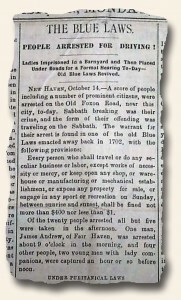 This article from the October 15, 1883 issue of the “Norristown Register“, Pennsylvania, reports a particularly harsh enforcement of the blue laws near New Haven, Connecticut, noting in part: “A score of people …were arrested on the Old Foxon Road….Sabbath breaking was their crime, and the form of their offending was traveling on the Sabbath…” with details of the law and how the offenders were nabbed, including: “…Many of the people out for a ride stopped under the trees & gathered up the scattered nuts. 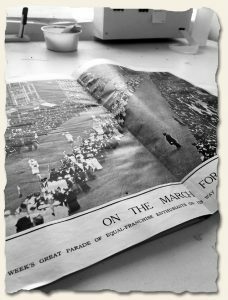 Each person that stopped was arrested. the nuts lay as a trap…” (see images).